Celebrate St. Patrick's Day this year by making your very own lucky pot of (chocolate!) gold. 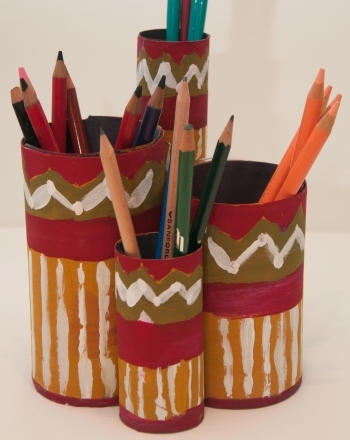 All you need to make this festive craft are a few materials from the arts and crafts store and supplies from around the house. Painting is great for helping your child hone his fine motor skills. Have your child paint the outside of the clay pot with black paint. Paint the inside about an inch down from the top. Set the pot aside to dry. Once the pot is completely dry, have your child crumple up pieces of black tissue paper or construction paper and place them inside the pot. Fill the pot with paper to about an inch from the top of the pot. Ask your child to pick up one pipe cleaner in each colour, then twist them together and bend into an arc to form a pipe cleaner rainbow. Have your child carefully place the rainbow inside the pot, balancing it so that it arcs over the opening of the pot. 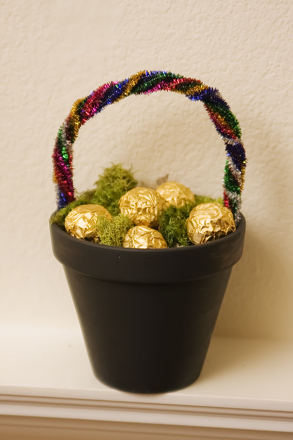 Help your child place moss inside the pot, then add the chocolate gold coins. Display your lucky pot of gold on a table or over the mantel for a little St. Patrick's Day cheer. 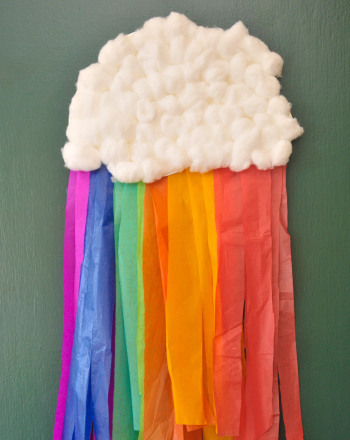 This rainbow collage activity is a great way to practise using different materials to create texture. The completed craft is sure to brighten up any space. 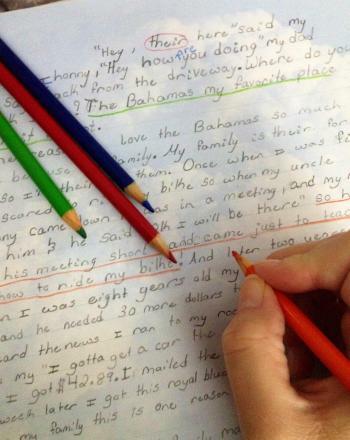 End punctuation takes centre stage in this grammar match-up worksheet. Did you know that gold was first discovered in Sacramento? Teach your child about the history of Sacramento with this fun worksheet! The punctuation mark with which you end a sentence can change the tone of your statement completely.